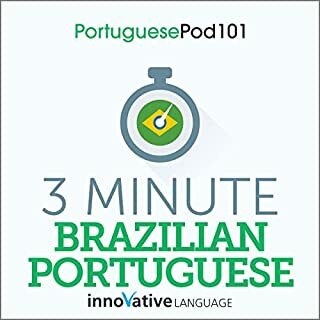 Ten minutes a day is all you need to learn Brazilian Portuguese with this fast and easy-to-use 5 hour audio program! 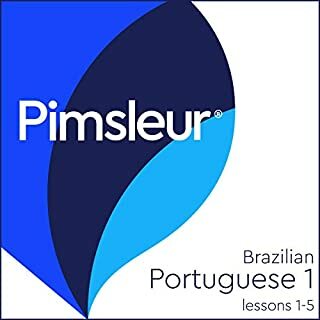 Imagine how great it will fell to immediately begin to speak authentic Portuguese in just 10 minutes a day, using your otherwise wasted down time. 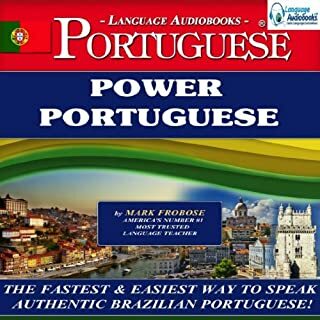 Learn to speak Portuguese during the time you spend waiting in traffic, on trains, for the dentist, from any location! And 10 minutes a day is all you need! Here's the secret! 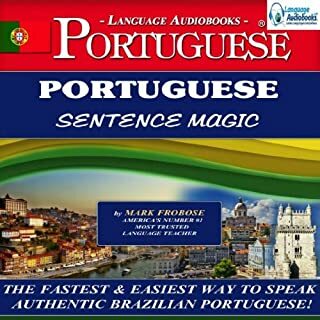 Want to break free of boring drills and canned phrases and create and speak your own original sentences in Brazilian Portuguese with phenomenal speed and ease? Say hello to Portuguese Sentence Magic! 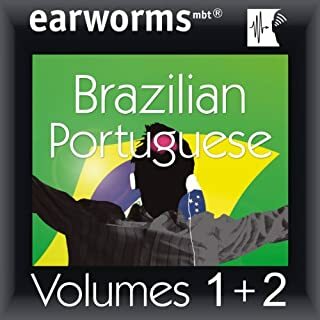 Here are just a few features of this fabulous program: High Frequency Vocabulary - Learn to speak the most common words and phrases that are easiest to learn and quickly understood by native Portuguese speakers. 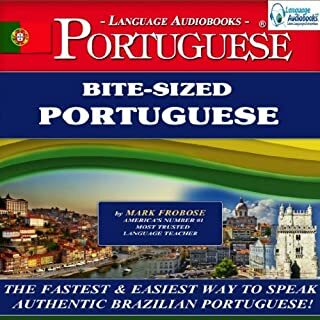 A trained and educated native Brazilian Portuguese instructor from Brazil teaches you how to speak and understand authentic Portuguese with the correct accent, while an English-speaking degreed and certified American language instructor explains how to put all the pieces together. I learned more from Smartphone Braizlian Portuguese than from two semesters of college Portuguese years ago. Starts from scratch and teaches you the basics fast.